Internships are the perfect opportunity to test the waters of the professional world while you’re still in college. An internship provides college students with the opportunity to connect with mentors in a business setting that aligns with their career goals where they can gain the necessary experience to sharpen their skills while still attending college. At Opus Business Consulting, we provide internships that serve as perfect learning opportunities to help students develop the skills necessary to dive into the work force when they graduate. Not only are internships a great platform to gain experience, but they are a great way to develop the confidence needed to land that most sought after position post-graduation. 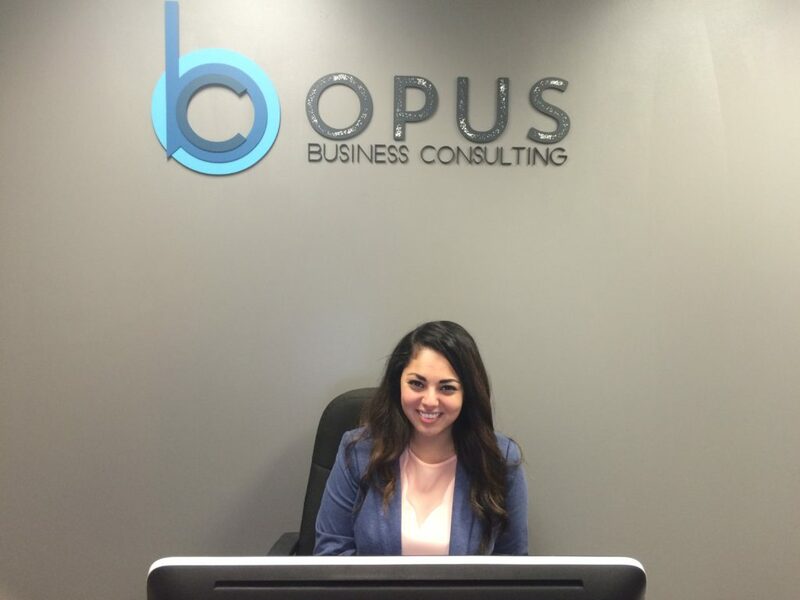 We’d like to introduce you to Laila, an intern who spent the summer here with us at Opus Business Consulting! We were thrilled to have had the pleasure of getting to know her and we know that you will enjoy getting to know her just as much! Coincidentally, while pursuing her degree, Laila works for the same custom apparel company that Mike, our Managing Partner, worked with while in college! Another fun fact about Laila is that she is a second degree black belt in karate! The person who inspires Laila most is her father. Her dad came to America when he was in his 20’s by himself, with little money in order to attend school. He taught himself English by listening to the Beatles and worked tirelessly to establish a life for himself here. Forty plus years later, he has a wife and three kids, each of whom he put through college. “ He is the American dream and he has taught me to work for what I want ”, says Laila of her father. We wanted to gain some insight on Laila’s personal opinion of our internship program, so we asked her to give us some feedback on her experience here at Opus Business Consulting. Here are Laila’s answers to our questions. What are you studying in school and how has this internship helped? What skills have you gained while working here? What would you say is the most valuable thing you have learned while working here? What skill that you learned here will you continue to use in your everyday life moving forward? What advice would you give someone embarking on this career path – intern or full time? We hope you enjoyed getting to know Laila as much as we did! We will miss having her around at Opus Business Consulting, but we are excited to see what’s in store for her bright future! Go get ‘em, girl!